Railway Recruitment Board (RRB) conducts Exams for the post of SSE which is common for all branches. Each branch has to attempt same question paper regardless of their branches. So, In this post, we are going to share RRB SSE Paper of 2015. This exam was conducted in 3 days and three shifts per day. So, total 9 paper is here. 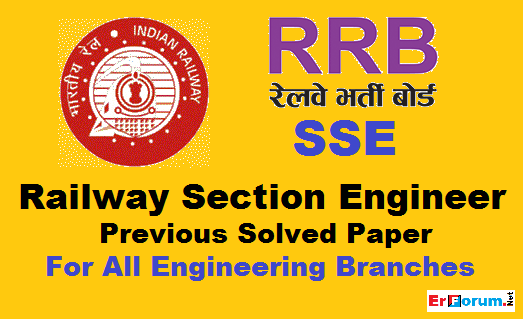 Each paper is solved and is with correct answer as released by RRB. Your Like and Share motivate us to post Previous Solved Papers. So, Please Like & Share it.